The girl in this mixed media painting has a thoughtful expression and a hint of a smile. 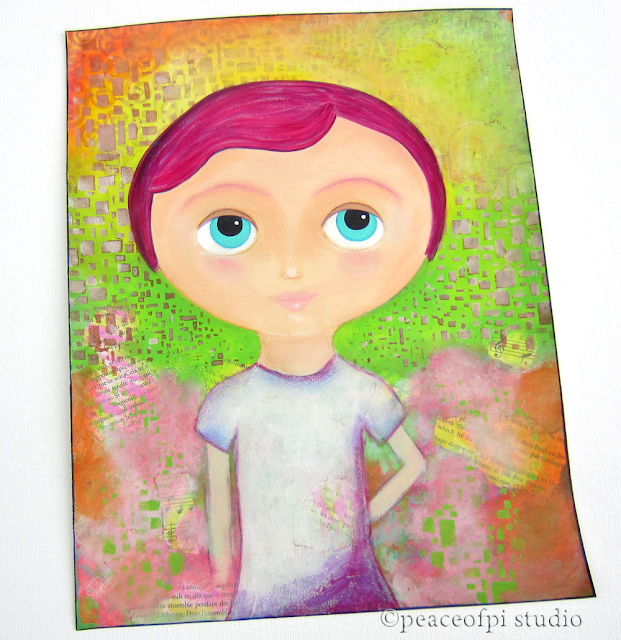 The portrait is an art journal page inspired by both traditional and modern drawing styles. Her steady gaze and confident pose are reminiscent of folk art while her bright fuchsia hair and big round eyes are inspired by anime. The bold and active background in green, orange, yellow and pink add an intensity and modern feel to the portrait, making her a girl of both yesterday and today, a fun journaling experiment.